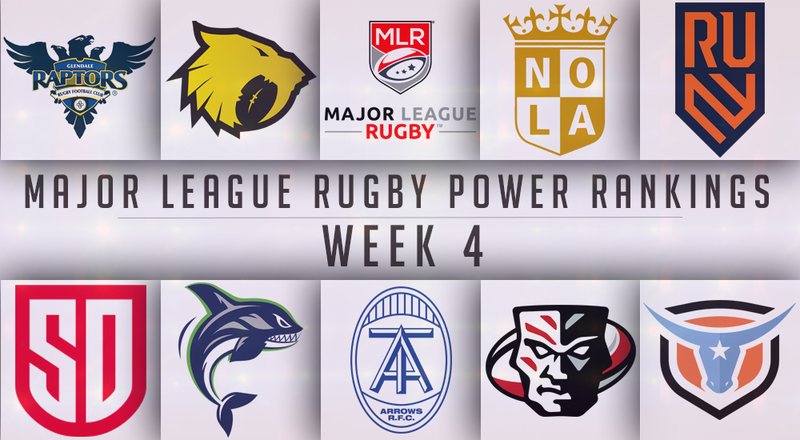 MLR Power Rankings Week 4: Who Has the Top Spot? 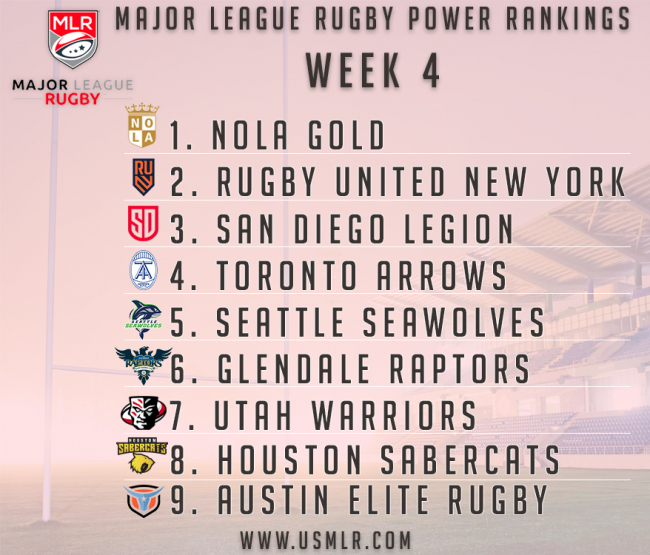 In the first power rankings from USA Rugby's panel of experts, who is number 1? To go hand in hand with our experts and their weekly picks, they have now come together to vote on where they think each team sits in the grand scheme of things. Unsurprisingly, it is NOLA Gold sitting atop the rankings, after going 3-0 to kick their season off. Not far behind them are Rugby United New York, despite only having played one game. In third come the San Diego Legion, who, after dropping their opening match of the season to RUNY, have gone 2-0. In fourth come Toronto, who put in a gutsy performance against the Austin Elite over the weekend to secure their first ever MLR win. 5th and 6th belong to last year's champion, Seattle and runner up, Glendale, respectively. Both the Seawolves and the Raptors have struggled to get off the mark this year, each with two losses next to their name; however there is faith amongst pundits they'll return to form once their squads are bolstered with the return of some of their missing talent. In the bottom three are Utah, Houston and Austin. Austin sits at 0-3; while both Utah and Houston have a win each, but have not provided the experts with enough faith, yet, to place them higher.